With back to school campaigns in full swing, promotional items like custom drawstring backpacks have become the trending marketing items among everyone. Choosing promotional items that will never fail to work for your brand is not something that is easy and when businesses settle for a particular custom item they will have solid reasons for doing so. 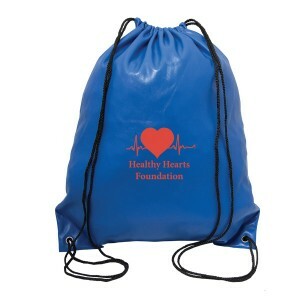 Drawstring backpacks are trendy and youthful, which makes it a great option as promotional product. The generous imprint area and the immense popularity will make these custom gifts hugely popular among all age groups and demographics. 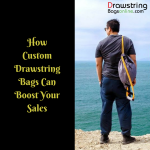 The simplistic design and the brilliant color choices are the other major advantages of drawstring bags as marketing items. High visibility: The high visibility that your marketing message and logo enjoys on these custom bags will give your brand the much needed portability and exposure as your brand gets to travel wherever your recipients go. Drawstrings bags make an impressive display board for your brand as people wear it across their back to ensure a wide angle display for your marketing message. Portability: Drawstring bags make perfect handouts for sports themed promotions and people who are on the move and follow an active life style. Every time your recipients go about their daily business your brand will enjoy a high level of portability and exposure as well. These stylish and vibrantly colored bags draw easy attention from everyone around and people will be interested to know more about these handy gift items everytime they see these. 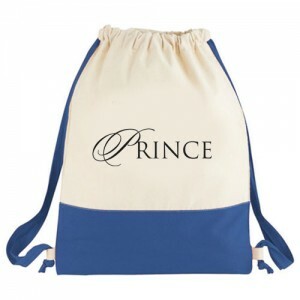 Customization options: There are not many custom gifts that can be customized as nicely as custom drawstring bags. The generous imprint area and the attractive color choices will all make these logo items a great canvas to place your promotional message and artwork. Imprint your logo, fun quotes or peppy messages to design them specifically to suit your promotional campaign needs. Budget friendly: These promotional drawstring backpacks make perfect handouts during trade shows, business events, corporate events and more. These will make great party favors for large events like school and family reunions and pep rallies. The attractive price tag of these custom items will make it an affordable yet effective custom gift for marketers who are on a shoe string budget. Now that you have a crystal clear idea about the promotional potential of these custom bags, we are listing out a few of the top selling models to help you get started. Split Decision Cotton Cinch Bags: Join the bandwagon of green promoters by handing out these trendy cotton drawstring bags. These cinch bags offer a large imprint area for your brand logo and message and every time your recipients carry these logo items they will be carrying your brand with confidence. These are great for promoting fitness centers, sports leagues and more. Non-Woven Sports Pack Polypropylene: It is a great brand building gift choice for sports marketers and holiday marketers. The large storage space and attractive color choices are the trump cards of these impressive bags. 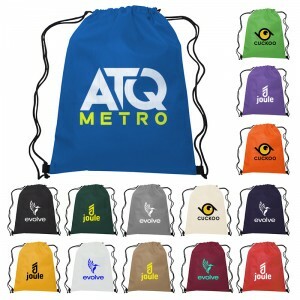 Put your brand and message on these and see how your custom drawstring bags will get all the attention in the world! 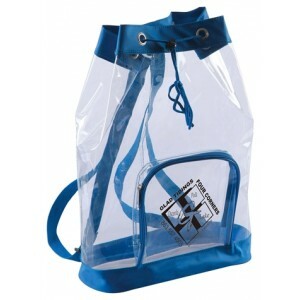 Clear Mesh Drawstring Backpacks: Be it to promote beach events, sporting events, tail gating parties or more, these logo items will make a smart choice. These affordable and stadium friendly bags offered in a palette of interesting color choices will highlight your business information and will enable your recipients to see the things stored within that will make it stadium friendly as well. Free art setup, free shipping and free online design proof offered for this backpack. 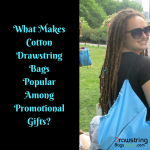 Have you ever used drawstring bags as marketing swag before? If yes, share your experiences with us at the comments section.